If you could sum up The Alchemist in three words, what would they be? What was one of the most memorable moments of The Alchemist? Which character – as performed by Jeremy Irons – was your favorite? All of them were spot on! 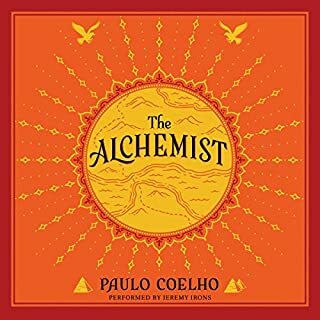 If you could rename The Alchemist, what would you call it? I wouldn't. The name is perfect. To better put into perspective the various issues surrounding energy in the 21st century, you need to understand the essential science behind how energy works. And you need a reliable source whose focus is on giving you the facts you need to form your own educated opinions. 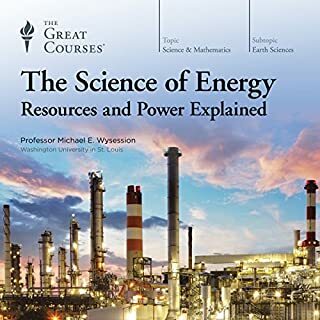 Would you consider the audio edition of The Science of Energy to be better than the print version? In combination, they would be perfect. The audio version is nice because sometimes reading science for long periods of time can be dull, so it's nice to have someone reading to you. What was one of the most memorable moments of The Science of Energy? When the professor talks about oil/petroleum and how energy dense it is compared to the other forms of energy. It would be very hard to listen to all in one sitting. What made the experience of listening to The Everything Store the most enjoyable? Awhile ago, while watching some business interviews on Youtube, I came across one Jeff Bezos. 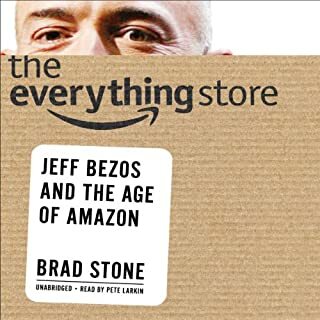 After hearing Jeff tell stories about Amazon's early days, its cliff-hanger moments, and Amazon's exponential acceleration, I needed to know more about this interesting individual and his vision. What other book might you compare The Everything Store to and why? It reminds me of Arnold's book: my unbelievably true life story. I can't deny that I enjoy a good rocket-to-success story. While Jeff and Arnold pursued different goals, the highly competitive, do what it takes, long-term thinking, don't let setbacks stop you attitude is present in both of the people, and, thus, both of their books. What about Pete Larkin’s performance did you like? Excellent narration. Very good pronunciation and voice tone. It's in my top three favorite biographies. I'll listen to it many more times. Be careful when listening to biographies; it's easy to get sucked into the mentality that what worked for them will work for you. For example, excessive expansion/growth at any cost in anything you do. The laws of thermodynamics drive everything that happens in the universe. From the sudden expansion of a cloud of gas to the cooling of hot metal - everything is moved or restrained by four simple laws. 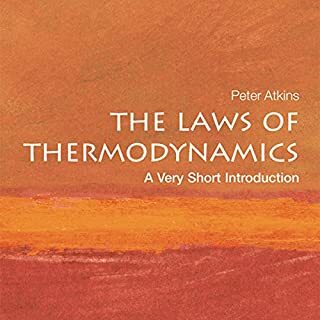 Written by Peter Atkins, one of the world's leading authorities on thermodynamics, this powerful and compact introduction explains what these four laws are and how they work, using accessible language and virtually no mathematics. 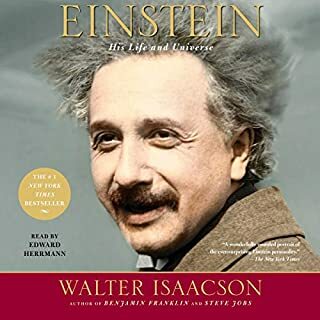 Why we think it’s a great listen: You thought he was a stodgy scientist with funny hair, but Isaacson and Hermann reveal an eloquent, intense, and selfless human being who not only shaped science with his theories, but politics and world events in the 20th century as well. Based on the newly released personal letters of Albert Einstein, Walter Isaacson explores how an imaginative, impertinent patent clerk became the mind reader of the creator of the cosmos. Surprise: Two books in one!